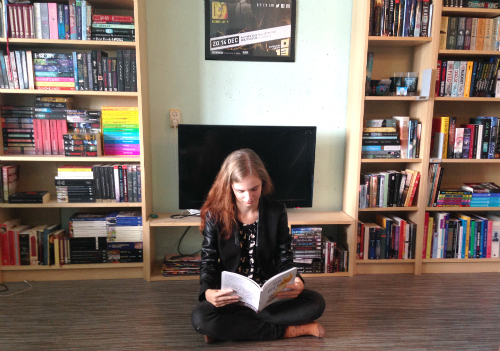 I was very much excited to be reading Firelight. It sounded just like my cup of tea; supernatural paranormal historical romance featuring a strong and gifted heroine. almost everyone I know enjoyed this book, and it has a wonderful average rating on Goodreads. Sadly, Firelight wasn’t for me. It took me a while to find out what was wrong with it. The characters are okay – pretty standard match between a strong-willed heroine and an overprotective alpha male who constantly bicker and have a great sexual attraction neither is willing to admit to. The plot has plenty of mystery. For a great part (read: almost the entire book) of the book the identity of the main male character Archer is left in the dark. There is a killer on the rampage and Archer knows who he is, but the reader isn’t privy to that information until the very end of the book. And exactly here lies the reason why I didn’t enjoy Firelight that much. For me the story was just plain boring. There wasn’t anything to grip me and keep me reading. The characters were okay but not that interesting (I specially found Archer to be rather bland) and the plot is quite ridiculous in hindsight. Archer knows who the killer is, a killer who is killing his friends and the people he loves one by one, yet he never warns his friends. Shouldn’t you at least give them a heads up that there is someone who wants them dead, and that it would be a wise idea to go into hiding or at least leave the country? The plot barely moves at all throughout the story. People get killed. Archer is sad. Miranda is angry because she doesn’t know what’s going on. Archer doesn’t tell his wife who or why he is because that might scare her away (even though she’s frigging married to him, where would she go?). Miranda doesn’t tell her husband who or what she is because of absolutely no good reason. Sexual tension. People get killed. Rinse and repeat. For me this book would have been way more exciting if the reader was actually involved with the plot. If we knew who the killer was, and what the stakes were for Archer, and more small clues as to what Archer is. There is no fun in having a mystery if there are no small clues that hint you in the right direction or put you on the wrong foot. If it’s just a big reveal towards the end, what’s the fun in that? 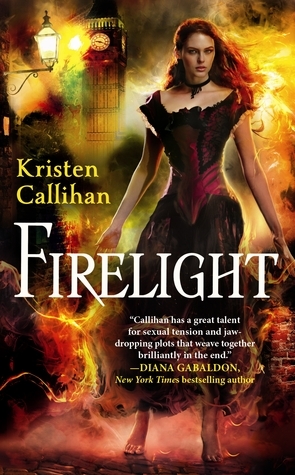 Firelight is a so-so read, but an interesting mix of genres. Recommend only for readers who don’t mind their plots sailing on miscommunication only.